What is the best 3D printer under $1,000 on the market? The cost of purchasing a 3D printer has reduced significantly. In the current 3D printer market, there are many good quality and affordable 3D printers available under $1,000. A growing number of 3D printer manufacturers are launching affordable desktop 3D printers under $1,000 that are increasingly reliable and offer a great value to users, be they consumers or professionals. This list covers the best 3D printers under $1,000. This table recaps the best 3D printers under $1,000 available on the market, ranked by metascore. 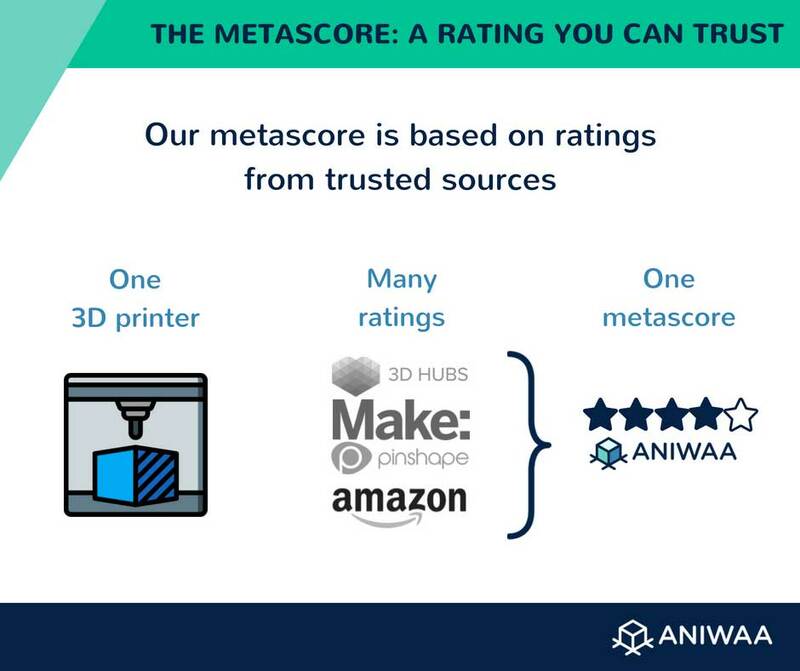 *Metascore: to calculate this metascore, we aggregate ratings from reliable sources (3D Hubs, Amazon, Make:, Pinshape and our own reviews). **Price (MSRP): manufacturer suggested retail price. Tip: If you are interested in researching the 3D printer market more extensively, you can use our 3D printer comparison engine and if you wish to find an even cheaper 3D printer, you read our best cheap 3D printers under $300 article. The Original Prusa i3 MK2S grabs the top spot of our best 3D printer under $1,000 ranking. 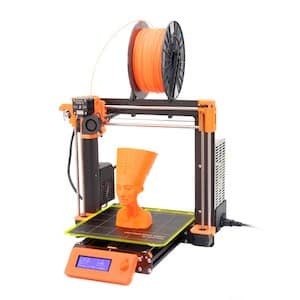 The Original Prusa i3 MK2S is an affordable 3D printer made by Prusa3D, a manufacturer from Czech Republic. The Original Prusa i3 MK2S is the newest version of the acclaimed Prusa i3 MK2, packed with many improvements. It is widely praised as one of the best all-around desktop 3D printers. 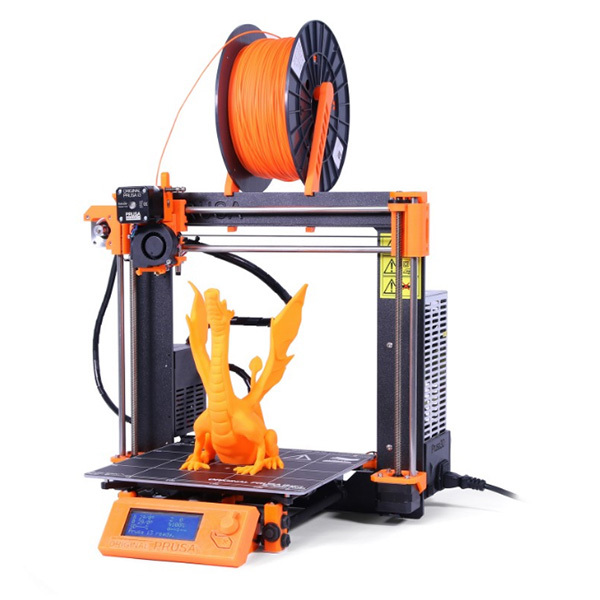 The Prusa i3 MK2S is well known for its reliability, robustness and upgradability. It is also easy to repair and maintain. The Qidi Tech X-Pro is an affordable, fully-enclosed desktop 3D printer. The Qidi X-Pro boasts an impressive number of features: dual extruder, full color touchscreen, Wi-Fi connectivity and four cooling fans. 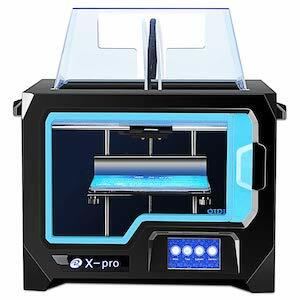 At this price point, the X-pro is definitely an attractive desktop 3D printer offering an amazing value for the money. The Original Prusa i3 MK3 is the latest version of the top-selling desktop 3D printer made by Prusa3D, a manufacturer from Czech Republic. The Original Prusa i3 MK3 is the most advanced version of the Prusa 3D printers and comes with a number of innovations which made it an instant hit. The Tiertime UP Mini 2 ES is a fully-enclosed, plug-n-play desktop 3D printer. Packed with user-friendly features such as WiFi connectivity, touchscreen, and a built-in HEPA air filter, the UP Mini 2 ES is an excellent choice to get started with 3D printing without all the hassle. 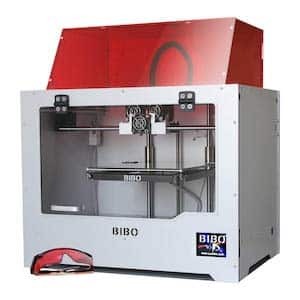 The BIBO2 Laser Touch, also known as BIBO Dual Extruder 3D printer, is an impressive fully-enclosed desktop 3D printer. 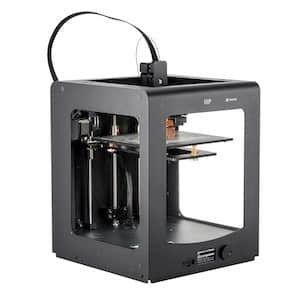 It boasts a double extruder, a touchscreen, WiFi connectivity, and filament detection. On top of that, this 3D printer offers a laser engraver, making it a complete fabrication system for demanding makers. Despite being around since 2014, the Flashforge Creator Pro remains one of the best 3D printer under $1,000. It has won several awards and is considered as among the most reliable workhorse 3D printers on the market. Its now iconic design and fully-enclosed metal frame make the Creator Pro a go-to 3D printer for hobbyists and professional users alike. The Dremel Digilab 3D20 (also known as Idea Builder) is a fully-enclosed plug-n-play 3D printer designed for tinkerers and home users. 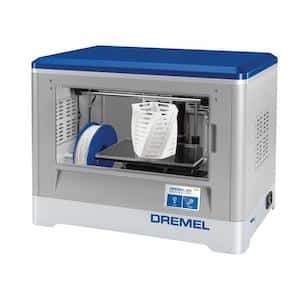 The Dremel 3D20 is very reliable, easy-to-use, and is perfect as an entry-level 3D printer. The Creality CR-10S is the compact version of the top-selling CR-10. This 3D printer still offers a generous build volume and requires very little assembly. The CR-10S also has a filament detector feature and is praised by the 3D printing community as one of the best 3D printer under $1,000. The Creality CR-10 Plus is the super-sized version of the best-seller CR-10. With a massive build volume of 500 x 500 x 500 mm, the CR-10 Plus (also known as CR-10 Max) is the perfect choice for makers willing to 3D print large parts or objects. It requires very little assembly with only 3 parts to assemble and offers useful features such as the ability to resume printing after a power cut. The ideal 3D printer for large-scale 3D printing! The Monoprice Maker Ultimate is a high-precision desktop 3D printer offering a high resolution of 20 microns. Its all-metal extruder and heated print bed make it a good choice for makers looking to 3D print all kinds of filaments. The anti-jam filament feeder does a good job to ensure smooth 3D printing and the sturdy metal frame make the Ultimate a solid entry in our list of the best 3D printers under $1000. There are many budget 3D printers available for under $1,000 and, even if a thousand dollars isn’t a very high price point (at least for a 3D printer), affordable 3D printers can offer very good results. Some aspects are more important than others to consider when buying a 3D printer. The vast majority of 3D printers under $1,000 use the FFF/FDM technology. Only a few resin 3D printers are available today in that price range such as the Wanhao D7 DLP (we cover those in our article on the best resin 3D printers). All the 3D printers included in this list use FFF/FDM 3D printing technology. This technology is mainly used to 3D print small plastic objects or prototypes. The 3D printing quality depends mainly on two factors: the layer thickness and the XY accuracy. All the affordable desktop 3D printers in our ranking are already assembled except the Creality CR-10S and Creality CR-10 Plus, which require some part assembly (2 or 3 parts to be assembled only). What are the benefits of assembled 3D printers compared to kit 3D printers? Assembled 3D printers are simply easier to use as users don’t need to build them themselves. DIY 3D printers require a bit more knowledge and DIY ability to be built. Therefore, for beginners, we advise to buy a pre-assembled 3D printer. What are the benefits of a 3D printer offering a closed frame? Maintaining a specific temperature in the closed 3D printing chamber to prevent the 3D print from warping. Protecting the user from the 3D printer’s heat, for example protecting the students in a classroom and preventing them from placing their hands on the 3D printer while it 3D prints. The build volume is one of the most important criterion when looking for a 3D printer. If you intend to print large 3D models or parts, you might want to chose a large volume 3D printer. In our list of the best 3D printers under $1,000, the Creality CR-10 Plus is the one offering the largest build volume with an impressive 500 x 500 x 500 mm. 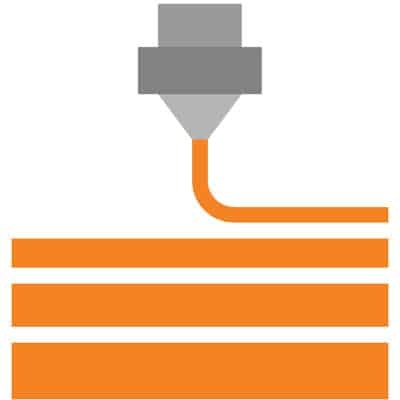 The FFF 3D printer’s resolution depends on the layer thickness. The thinner the layer, the higher the achieved resolution of the 3D printed objects. Lower prices tend to lead to a higher volume of 3D printers sold which in turn can create larger user communities. This can have pros and cons. A positive effect is that the user communities can grow and are increasingly active. 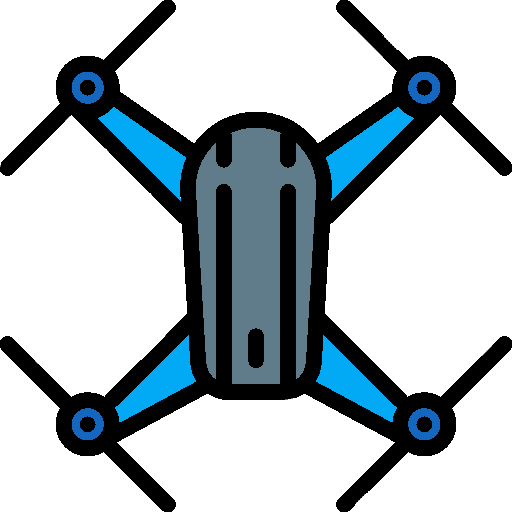 Therefore, users can help each other out and, for certain 3DP models, specialized forums and conversation groups can be found. We built a list of the best 3D printing communities, where a lot of information about 3D printers can be found. However, a large volume of sold 3D printers also means that the manufacturer might not be able to handle all of the after-sale customer requests. Thus, users tend to pick up on this and share their experiences within the community groups. To calculate these metascores, we index 3D printer reviews and ratings from four trustworthy sources (3D Hubs, Pinshape, Amazon, and Make:) and then calculate an average score for each 3D printer. To be included in our list, the 3D printers must have at least one review on YouTube. For this list, we selected affordable 3D printers with an active online users community and that have reliable customer service. Opinions may change over time and points of view can differ from one person to the other. 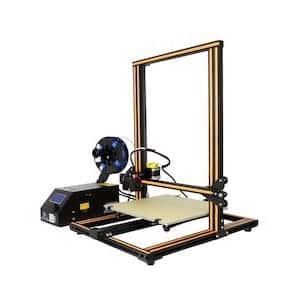 Best home 3D printer under $1000? 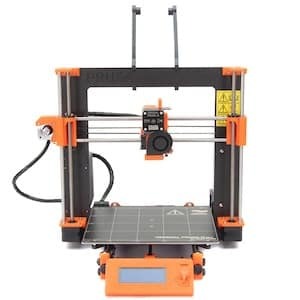 The best home 3D printer under $1,000 is the Original Prusa i3 MK2S, with a price of $899 and a metascore of 4.7/5 on Aniwaa. The i3 MK2S is widely praised as one of the best desktop 3D printer overall and offers unparalleled reliability, ease of use, and performance. Best 3D printer kit under $1,000? 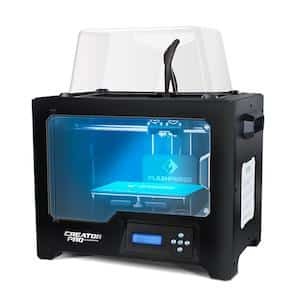 The best 3D printer kit under $1,000 is the Creality CR-10S, which costs $525 and has a 4.0/5 metascore on Aniwaa. The CR-10S offers a fairly large build volume of 300 x 300 x 400 mm and is among the top-selling 3D printers in 2018. 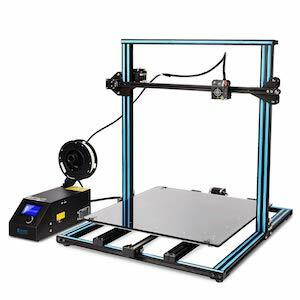 Best large 3D printer under $1,000? The best large 3D printer under $1,000 is the Creality CR-10 Plus which costs $899, has a metascore of 3.8/5 on Aniwaa, and offers an impressive build volume of 500 x 500 x 500 mm. Best SLA 3D printer under $1,000? There are no SLA 3D printers under $1,000. 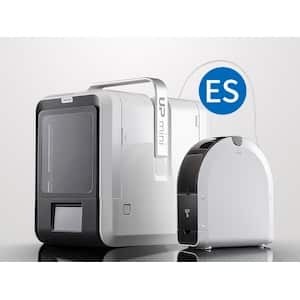 Most entry-level resin 3D printers use DLP or LCD technology. The best resin 3D printer under $1,000 is the Anycubic Photon which costs $550 and has a 4.2/5 metascore on Aniwaa. Do you want to compare all existing 3D printers? Check out our comprehensive 3D printer comparison engine. Overall, what is the best 3D printer? Here is our definitive list of the best 3D printers on the market. Looking for the best resin 3D printer? Find out which SLA 3D printer is #1 with our ranking of the best resin (SLA/DLP) 3D printers.